Please arrive at the Museum at 10:45 am for a prompt 11:00 am departure. All tours will last approximately 90 minutes. 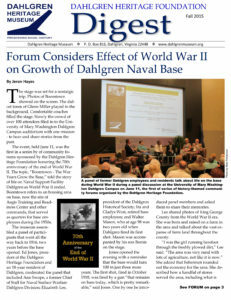 Your visit will include stops at seven (7) significant points of history at Dahlgren and conclude with a guided tour of the museum. Cost is free but donations are accepted. Tours are first come, first served and can be booked on www.eventbrite.com (search for Dahlgren Heritage Museum) or by calling the Museum at 540-663-3680.